Back side credit close up. Albers, Josef (design). 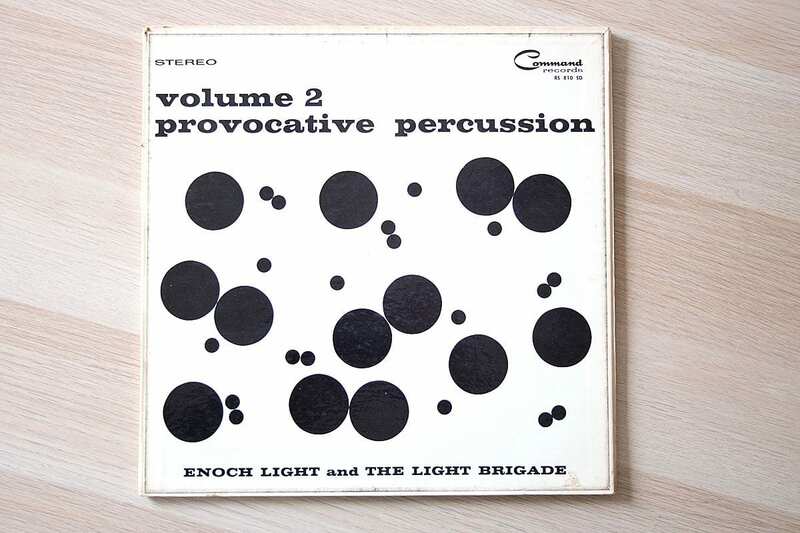 Enoch Light & the Light Brigade, “Provocative Percussion Vol 2,” 1960. Command Records (RS 33-810). 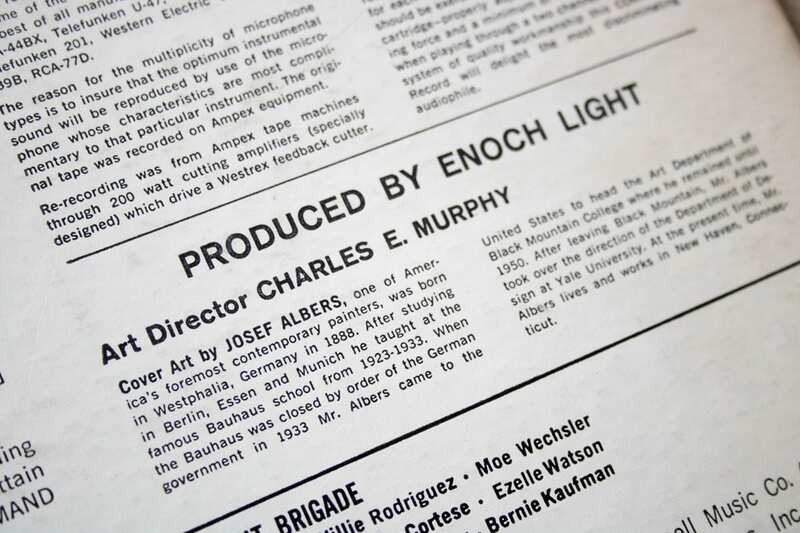 Gatefold LP jacket, 12 3/8 x 12 3/8 in. (31.4 x 31.4 cm) folded. 12 3/8 x 25 in. (31.4 x 63.5 cm) flat.